If you are looking for a new vehicle that is both luxurious and reliable, come drive an Acura today! With a host of new models recently unveiled, Acura is redefining what luxury vehicles should feel like, and how they should drive. At Camco Acura, we look forward to helping you find the perfect new Acura that will fit your needs, budget, and lifestyle. Our team of experienced and friendly sales professionals always strive to ensure your complete satisfaction with their honest, straightforward approach to selling new vehicles. We know buying a new vehicle can be a demanding experience, and we want to make it as enjoyable as possible. 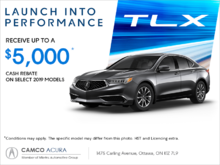 Come into Camco Acura today and drive the new Acura TLX, the new benchmark in luxury and performance. 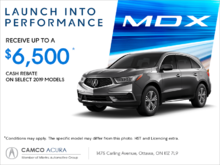 If you require more space, take a look at the new Acura MDX and Acura RDX. Or come to Camco Acura and learn more about the technology-packed Acura RLX, or the compact and fuel-efficient Acura ILX. 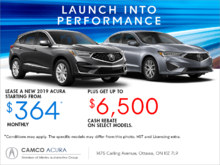 Camco Acura offers the perfect vehicle for every need, budget, and lifestyle. 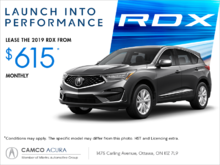 To book your test drive, contact Camco Acura today at 1 855 320-6404, or online using our contact form. Visit Camco Acura today and drive away in the Acura that’s right for you.